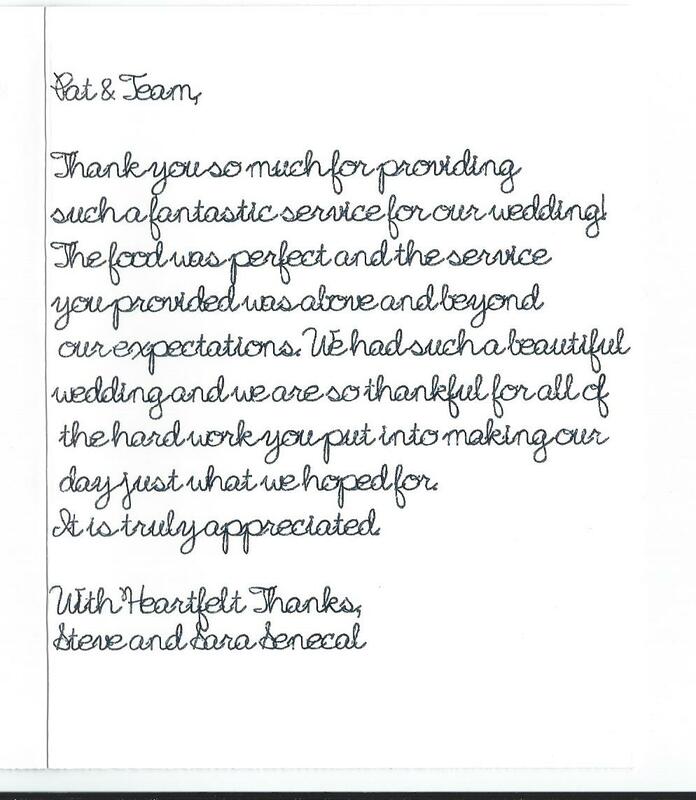 Thank you so much for providing a fantastic service for our wedding. The food was perfect and the service you provided was above and beyond our expectations. We had such a beautiful wedding and we are so thankful for all of the hard work you put into making our day just what we hoped for.